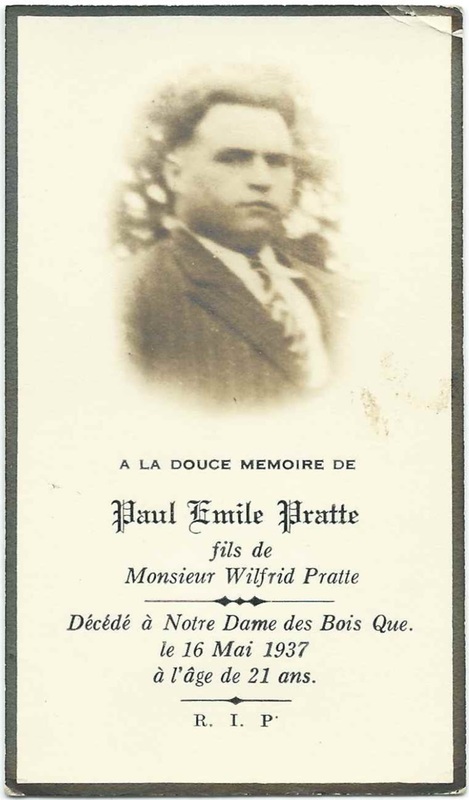 Memorial card for Paul Emile Pratte, who died on May 16, 1937 at Notre-Dame-des-Bois, Quebec, near the borders of Maine and New Hampshire. 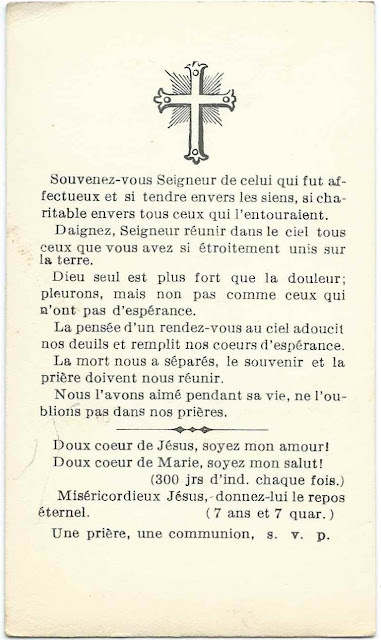 Paul was 21 years old at the time of his death. According to the Drouin Records, Joseph Paul Emile Pratte was baptised May 14, 1916. He was the son of Wilfrid and Rose Anna (Martin) Pratte.